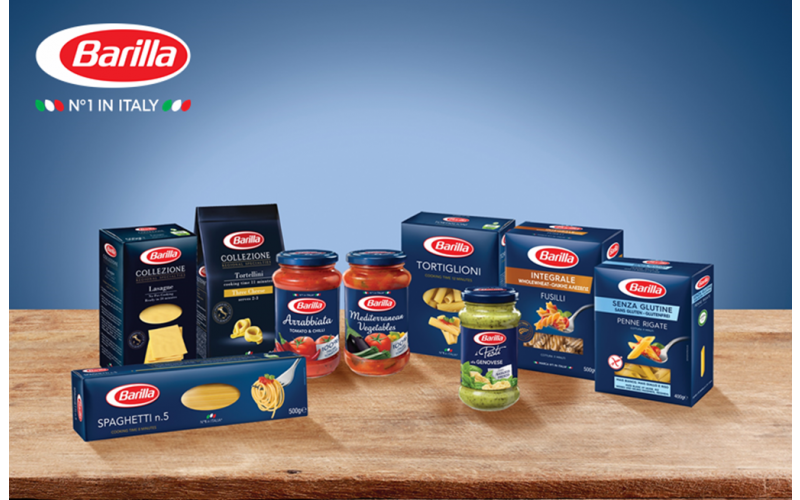 Win a bundle of Barilla Pasta and sauces! Italy’s most popular pasta-maker Barilla is offering readers a chance to win one of 5 packages of Barilla pasta and pasta sauces to help turn mealtime into an authentic Italian feast! With a range featuring classic Italian pasta shapes in traditional, whole-wheat and gluten-free varieties alongside classic Italian sauces, each prize contains enough Barilla products to ensure you’ll always have something tasty and high quality to hand whether preparing a simple lunch or entertaining friends at home. The Barilla range offers pasta shapes for any dish – from comforting lasagnes for family meals to tasty whole-wheat shapes and gluten-free pasta for a healthy lunch, meaning those with special dietary requirements won’t miss out on their favourite pasta treats! The Barilla family have been producing high quality pasta in Parma for 140 years. The full range includes speciality Collezione pastas, whole-wheat and gluten-free varieties as well as the classic Blue Box range of traditional pasta shapes, all made with carefully selected ingredients. Barilla’s range of pasta sauces are made with 100% Italian tomatoes, and their Pesto contains only fresh Basil picked in summer. Italians know the familiar Barilla blue box means high quality, great taste and perfectly al dente pasta every time. That’s why Barilla has been an Italian favourite for 140 years.